For Kidambi Srikanth, the last 12 months haven't been as bad as many think. With a first-ever silver medal in men's singles and a team event gold at the Commonwealth Games, the World No 6 wipes off the 'bad 2018' tag with a huge smile on his face. To top it up, he even became World No 1 for a short period. After making appearances in the quarter-finals and semi-finals, he's still managed to seal a place in the top-eight of the rankings. But a year ago, Srikanth had taken the men's singles circuit by storm, bagging four Superseries titles until a leg injury in November derailed his title-winning streak. Since then, the 25-year-old has barely ruffled any feathers on the World Tour circuit. "It hasn't been a bad year. It's definitely not as great as 2017. But, I'd say there was a lot to learn this year. You can't expect every year to be like 2017," he says. 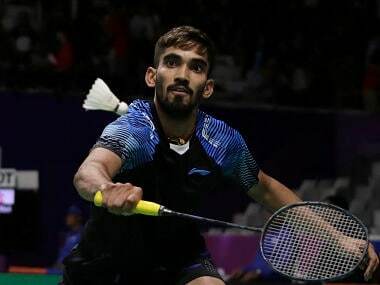 Kidambi Srikanth will play for the Bengaluru Raptors in the Premier Badminton League. In April, he was crowned as the world's best shuttler in the most absurd manner. He sat on the throne for a week and most of it was spent towards the end of CWG in Gold Coast, and the rest of the three days in India — Tuesday, Wednesday and Thursday — where Srikanth was surrounded by the media. "Then it was Friday, new rankings were up and it was gone," he laughs. "Everyone dreams of it. I definitely dreamt of it. But then I realised it feels nothing different from now! It's just that now that's not my target, I've achieved it. Now I want titles," he adds. Next up for him were the tough losses he had to endure this year. He's talking about the long, energy-sapping matches that took a toll on the mental aspect of his game. He admits that he has learned the hard way. The close shaves gave the Guntur lad a reality check. "I've made a few easy matches tough. But, I learned to enjoy the losses as well," says Srikanth. Losing a closely-fought match which lasted an hour and 18 minutes against Korea's Lee Dong Keun at the Japan Open was one of the junctures where the talented shuttler's mind and body didn't sync. "Losing 18-21 in the third is tough, but I got sweet revenge at the French Open — 21-18 again," he says with a smile. "I'm always happy to finish in straight sets, but I'm learning other lessons. The moment you feel you are under pressure, there's no way you can excel." Viktor Axelsen, who had a great 2017 season like Srikanth, didn't produce results as the rest of the lot took the titles home. "Kento Momota has come back really well. I'll have to be much more consistent than him. I can't give Shi Yuqi too many chances. Darren Liew was aggressive at the Worlds (sending Srikanth packing early at the World Championships). Chen Long has experience." The qualification for Tokyo 2020 starts from 1 April 2019 and making the most of the circuit is on his mind. 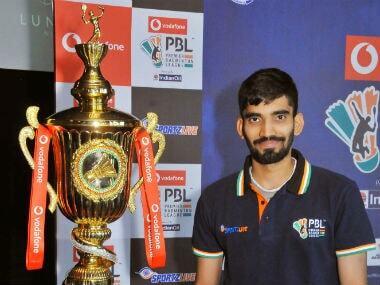 "The World Tour tournaments will help me look at the bigger picture," says Srikanth. The showpiece event in Japan is 18 months away but the Indian ace knows the route to success. "Of course every step is geared towards that. But I also have to look at the smaller picture," he says. Ahead of the Premier Badminton League, which starts from Saturday, Srikanth reminisces the first time he had defeated Lee Chong Wei in the 2013 edition. Although many called it a non-competitive match back then, the Hyderabad shuttler registered an important win for India in the team event against the legend at the Commonwealth Games earlier this year. "I remember beating him in Mumbai five years ago. When they announced my name at the start of the match and I walked in at NSCI, there was complete silence. Imagine, my home crowd and pin-drop silence! When they announced Lee Chong Wei's name, the crowd went mad. But, by the third game, the audience turned their attention," the Bengaluru Raptors captain recalls. In the first two seasons, he learned the art of being disciplined and a few tricks of the trade from the foreign players in the team. He had realised what a league like PBL can offer. "Chirag Shetty learned most from training with Koreans during his time with the North Eastern Warriors and that showed in them making semi-finals of a Superseries soon after. For me, it was learning from (Indonesian doubles great, 1 Olympics, 3 Worlds titles) Hendra Setiawan. At this age and having achieved it all, he can take it easy. But I loved how he was sincere in his preparation, and warm-up routines even at this age (34)," he says. With that same passion, Srikanth now wants to leave 2018 behind along with people's expectations to emulate the kind of success he had in 2017. After PBL, there'll be the prestigious All England Championships and the World No 8 has a firm stance on chasing titles and not the rankings anymore.